Anat-her may have been the first ruler of the Sixteenth dynasty of Egypt, reigning over some part of Lower Egypt during the Second Intermediate Period as a vassal of the Hyksos kings of the 15th Dynasty. This is contested however, with the egyptologists Kim Ryholt and Darrel Baker believing that 'Anat-Har was a Canaanite chieftain contemporary with the powerful 12th Dynasty. 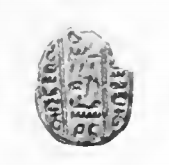 Others such as Nicholas Geoffrey Lempriere Hammond contend that he was a prince of the 15th Dynasty. 'Anat-Har's name means "Anat is content" and refers to the Semitic goddess Anat, showing that he was of Canaanite descent. Nuya was a ruler of some part of Lower Egypt during the Second Intermediate Period, possibly during the 17th century BC. 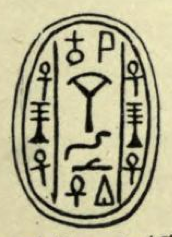 Nuya is attested by a single scarab seal of unknown provenance. 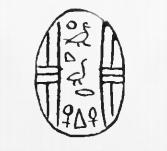 Based on a seriation of the seals of the Second Intermediate Period, the Danish Egyptologist Kim Ryholt has proposed that Nuya was a king of the 14th Dynasty, reigning after Nehesy and before Yaqub-Har. As such, he would have ruled in the 17th century BC from Avaris over the eastern Nile Delta and possibly over the Western Delta as well.